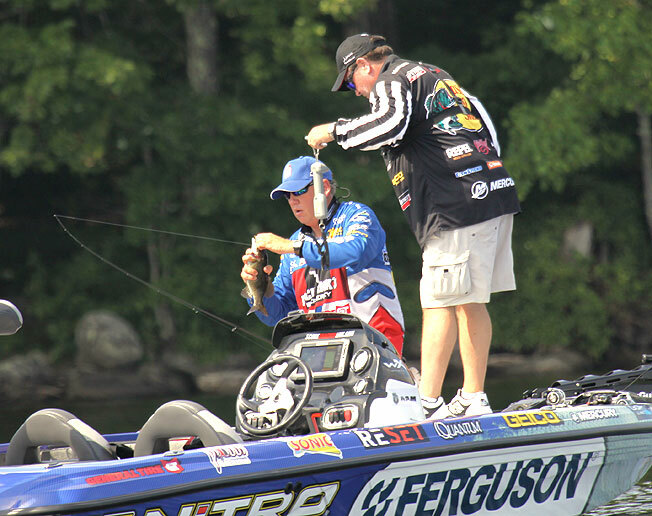 MLF competitors do not fish out of their own boats, but rather from MLF-provided vessels. 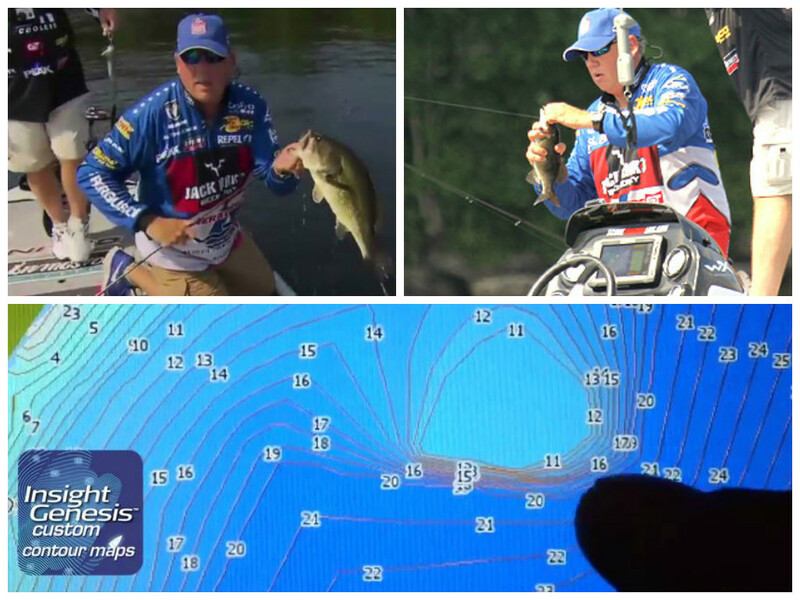 In the 2015 Summit Cup, all those boats were outfitted with Lowrance HDS Gen 2 Touch units on both the console and bow. Insight Genesis maps, exclusive to Lowrance, Simrad and B&G chartplotters, were provided to all competitors as well. Alton is not sponsored by Lowrance – nor by any other sonar/GPS company, he noted. Still, he was very complimentary of the Lowrance technology that helped him win Elimination Round 3 of MLF’s 2015 Summit Cup. Insight Genesis is the innovative, new mapping tool that helps anglers catch more fish faster in several ways: offering them free downloads of community-sourced contour charts from Insight Genesis Social Map; enabling them to create their own custom contour maps of un-mapped bodies of water; and helping them discover and dissect tournament-winning spot-on-the-spot areas that don’t show up on some existing off-the-shelf or app-based contour maps. The highly detailed Insight Genesis maps used in the Maine MLF competitions were created by combining existing Lake Insight charts with updated, more detailed contour data that was contributed by local anglers and aggregated via Insight Genesis Social Map. Those community-minded anglers elected to record sonar logs while fishing and then uploaded their files to Insight Genesis. Although every competitor in Major League Fishing is provided an identical Insight Genesis map with one-foot contours, competitors often opt to ignore offshore structure identified on the map and instead target visible cover, like docks, laydowns, rip rap, and emergent vegetation. 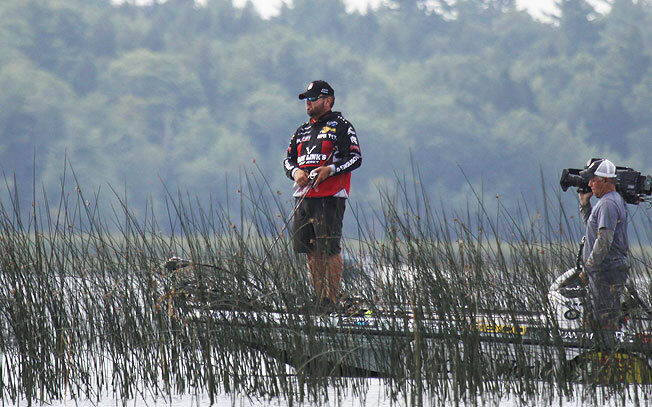 Shallow reed beds attracted a pack of anglers in Round 3, including runner-up Greg Hackney, Bassmaster’s 2014 Angler of the Year. Returning the favor, Lowrance Pro Team members fishing in the MLF events recorded sonar logs too. Their sonar files were later uploaded to Insight Genesis, further improving the level of detail on the lakes they fished. The result of such community-sourcing is better fishing for everybody – locals in the Lowrance community as well as visitors to the area like the MLF pros. That’s because all sonar data that anglers choose to contribute to the Insight Genesis Social Map are available to download for free from – Insight Genesis Social Map. Alton Jones wagered on the high-reward strategy of passing up visible cover and spending much of his time on an offshore hump he found on his Insight Genesis map. Alton wagered on the high-reward strategy, passing up the shallow reed beds and spending much of his time on offshore structure he found on his Insight Genesis map. That game-plan originated before he even hit the water. Before launching onto Lake Messalonskee, Alton wasn’t sure if that game-plan would indeed pay off. But he was cautiously optimistic. In the first two periods of Round 3, Alton kept in or near the top-four spots fishing what he described as a “shade pattern.” He was targeting boats and swimming platforms that were moored off the bank — not tied to docks — and shading the water under them from the bright sunshine of the day. But in period 3, Alton gambled on an offshore hump that he had waypointed on his Insight Genesis map before he even launched his boat in the morning. While most other anglers continued to target visible cover in the third period, he pulled fish after fish off of that hump – a piece of structure that does not show up on some other digital-chip maps of Lake Messalonskee. Upon completion of Round 3, Marty Stone interviewed Alton about his strategy. “You avoided the temptation of being in the pack …and you stayed focused on doing your own thing – explain that,” Marty asked Alton. “I got a little bit lucky,” Alton said, then stopped short, thinking better of his reply. “Catch as many as you can, and winning takes care of itself,” he added. Easier said than done! 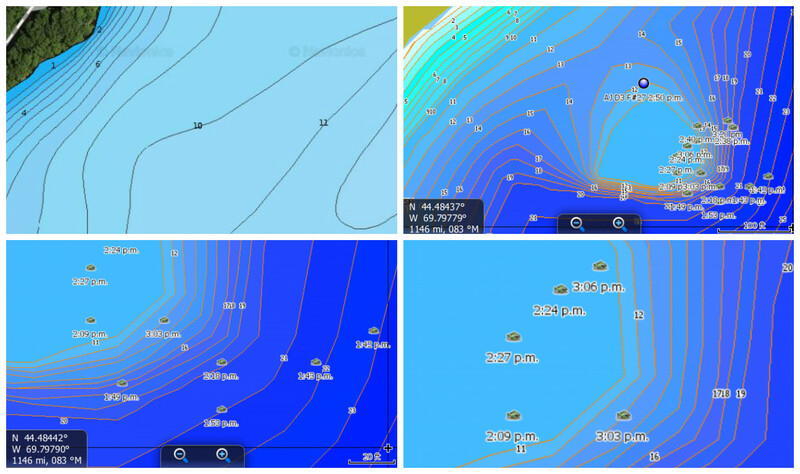 But much easier done with Lowrance electronics and Insight Genesis custom contour maps. Sign up for a free Insight Genesis account HERE and download unlimited, highly detailed fishing maps for lakes close to home, across the country and around the world – for free. 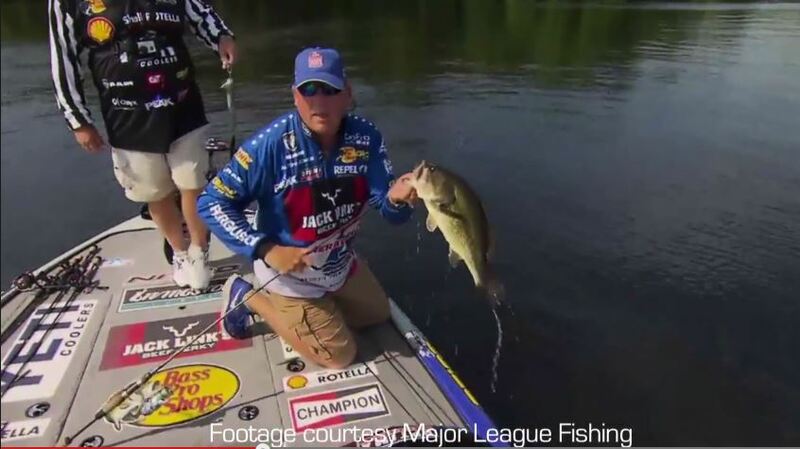 To watch an Extended Cast of Alton Jones winning the 2015 Summit Cup Elimination Round, order an MLF Bass Pass from HERE. 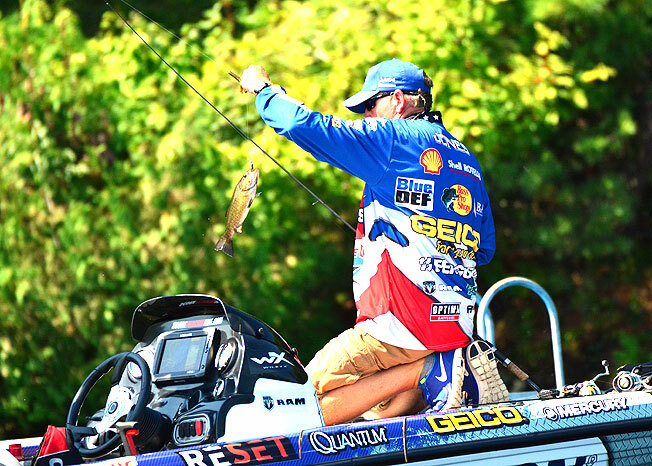 Extended Cast gives you 50% more in-depth coverage than what MLF broadcasts on the Outdoor Channel. With a BassPass, you get unlimited access to MLF’s entire Extended Cast library for a full year.